Polar bear hunters in remote villages on the coast of the Chukchi Sea will have higher harvest quotas next year, a sign of the health of the region's bear population. 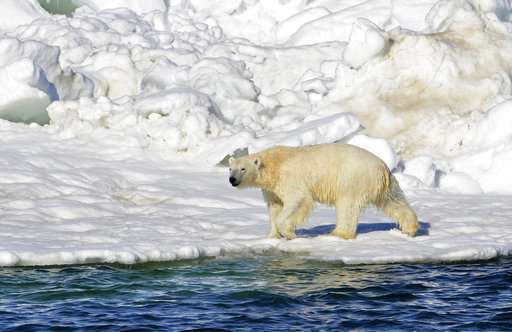 "Our communities in the area of the Chukchi Sea polar bear had not met that quota consistently in the last 10 years," she said. Eric Regehr, a quantitative biologist at the University of Washington's Polar Science Center and co-chair of the Scientific Working Group that advised the commission, said researchers have not detected the same sorts of harmful trends in Chukchi bears that were found in polar bears of the southern Beaufort Sea population off Alaska's north coast. "Those things appear good," Regehr said Friday. "The Russian government was comfortable right in the middle of that," she said. "It's just a waiting game at this point," she said.